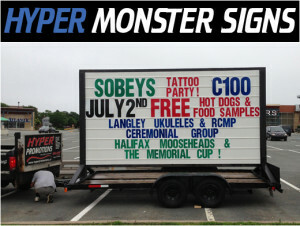 WE DO MOBILE SIGNS AND FIXED SIGNAGE ACROSS HALIFAX NOVA SCOTIA. SIGNS THAT MAKE YOU MONEY! You’ve seen them around Halifax for years, those catchy roadside signs grabbing your attention. Many of these signs use a white background with large high-contrast and others use super intense glowing letters on a black background for maximum effect. We have fixed permanent outdoor roadside signage and temporary mobile signs in black and white or glow styles to fit just about any Halifax by-law compliant signage needs for your business. Take a look at our sign solutions below and if you need a custom signage solution we can help with that too! 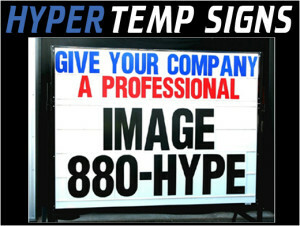 Give your HRM company the professional roadside image it deserves. With it’s optional decorative topper package, large timber framing and unique styles set this sign in a league of it’s own and is sure to stand out among others in Halifax. If you are looking for an affordable way to attract customers around Halifax this is a great choice. Our Planter Box Signs from Hyper Signs of Halifax, NS definitely demand attention! 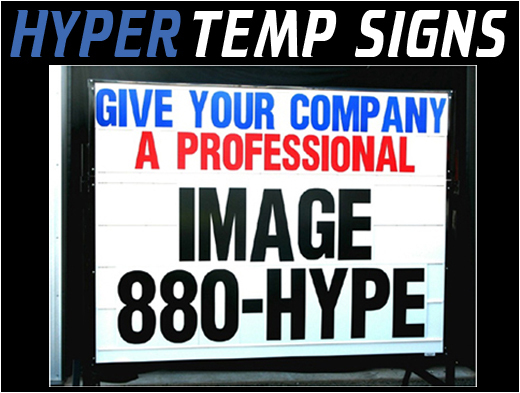 Whether its for the grand opening of your Halifax business, showing the special of the month, or letting Halifax know you are here; our temporary outdoor signs from Hyper Signs of Halifax, NS might be just what you are looking for. 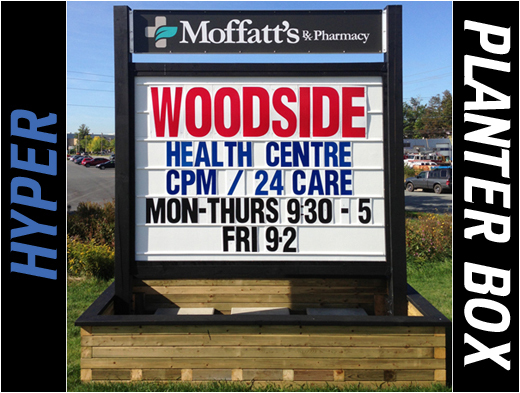 Get the word out to Halifax in a hurry with our temporary signage! When you really need your message to stand out and reach customers around Halifax, NS, there’s the Monster sign! This billboard sized sign is sure to draw attention. Both Stationary Signs and Mobile Sign Packages Available for delivery in Halifax and around HRM.